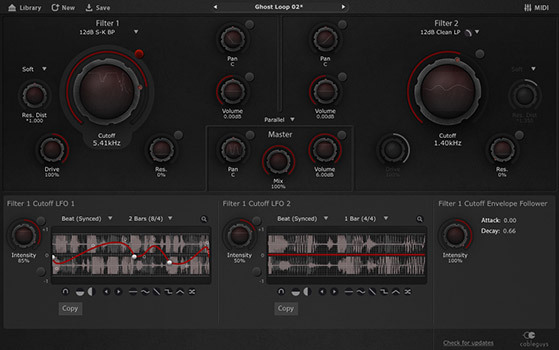 Cable Guys have released the version 3 update of their flagship filter and modulation plugin called FilterShaper. A few weeks ago we reported about the FilterShaper 3 beta being released. Well it is beta no more. FilterShaper 3 is available today and it is one of the best sounding and most flexible filter and modulation plug-ins around. It gives you a nice large oscilloscope type wavefrom display with a very intuitive way to adjust the modulation curves that instantly shows its effect on your audio. Two large filter knobs allow you to change the filtering and Rhythm presets for the modulation curve give an instant stutter and modulation groove to your audio. If you’re into Wobble bass, filtering, and modulation than this is a plugin not to be missed. Especially now that you can grab it with a $20 US or €20 discount until January 21. Visit the Cableguys website for more information. The only thing I’m grumpy about is that it isn’t yet available in AAX Format for Pro Tools 11. How about it Cableguys?